The Dodge Ram model name ended for the 2011 model year, but is now Chrysler Group's new Ram brand. You can get information on the newer Ram 1500 and also read our specific 2014 Ram 1500 Review. Also check our feature: 30 Days With The 2013 Ram 1500, plus comparisons of the Dodge Ram vs. Ford F-150 and Dodge Ram vs. GMC Sierra. The Ram (previously known as Dodge Ram) is a full-size pickup truck manufactured by Chrysler. While the automaker had offered pickup trucks before the 1980s, the Ram name first appeared in that decade--and would also appear on the Ramcharger full-size SUV. Today's Ram is among the best of its kind, with powerful V-8 engines, good ride quality from an independent front suspension, and an especially well-executed interior that's a magnitude better than the cabins even in some Chrysler sedans. The usual variety of body, bed, and drivetrains are offered. The Ram competes with the Ford F-150 and the Chevrolet Silverado and GMC Sierra twins, with less worry coming from the big Japanese trucks--the Toyota Tundra and the Nissan Titan. The name Ram was first used in 1981 on the redesigned Ram and Power Ram, though it came from the hood ornament used on 1930s and '40s Dodge vehicles. These trucks offered the usual choice of standard, extended and crew cab bodies; two bed lengths; and rear- or four-wheel drive. Chrysler's venerable slant-six engine powered base versions, and two V-8 engines were offered for more utility applications. An automatic-locking four-wheel-drive system came to the Ram in the late 1980s, and a Cummins diesel engine gave the Dodge pickup an edge for some buyers, over the competitive domestic trucks. The Ram was a distant third in the truck sales derby until the second-generation versions rolled out in 1994. With a new shape borrowed from 18-wheelers, the newly macho Ram got a leg up on the GM and Ford trucks. Within a decade, sales tripled. 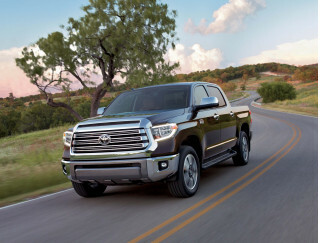 The new truck wasn't just good-looking--it came fully up to date with two body styles, two bed lengths, available four-wheel drive, manual and automatic transmissions, a heavy-duty edition, and a truly expansive engine lineup that would eventually include V-6, V-8 and V-10 engine options, with a Cummins diesel thrown in for good measure. The V-10 engine was an offshoot of the powerplant developed for the Dodge Viper. This Ram's interior beat its rivals for functionality--big knobs, big buttons and big cupholders ruled the dash and console. The modern era for the Dodge Ram began in 2002, with the introduction of a new light-duty Ram 1500. (Heavy-duty 2500 and 3500 versions appeared a year later.) 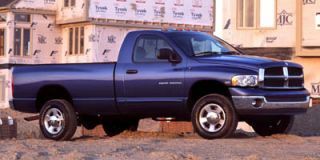 The 2002 Ram went big for emphasis: the grille and fenders grew larger, and new Quad Cab four-door and MegaCab four-door versions gave the Ram extravagant usefulness--though parking in urban construction areas challenged even the sharpest contractor. Styling remained close to the prior Ram's smashing looks, and the drivetrain lineup kept its course--with even larger-displacement V-10 and V-6 engines flanking the newly reborn HEMI V-8. A spectacularly absurd Ram SRT10 performance truck bowed in 2002, and went out of production in 2004. Sales of the Ram continued to boom through a 2006 facelift--that despite the arrival of a new Toyota Tundra and the new Nissan Titan, not to mention new versions of the Chevrolet Silverado, GMC Sierra and Ford F-150. A new Cummins turbodiesel arrived late in this model cycle, as did cylinder-deactivation technology, which helped the Ram sip a little less fuel. While Chrysler divorced Daimler, and went in and out of the Cerberus hedge-fund family and into bankruptcy, Chrysler still managed to design and produce a new version of the Ram. 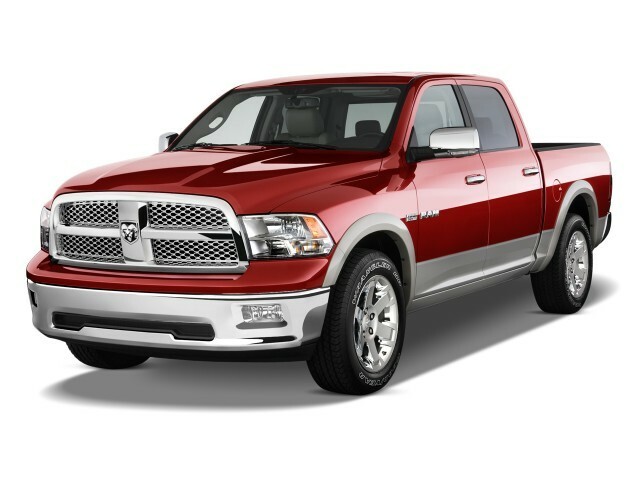 Introduced in 2009, the latest Ram is widely considered to be the best yet, and among the best choices in the segment. Mechanically similar to the previous version, the newest Ram is somewhat less aggressive looking than before--but still the best-looking full-size pickup, inside and out. The interior's particularly nice among trucks and among Chrysler products in general. Again, three body styles, two bed lengths, and a wide spectrum of drivetrains define the Dodge Ram 1500 lineup. The standout: the 5.7-liter HEMI V-8 Ram with the five-speed automatic and available four-wheel drive, which can be fitted quite luxuriously in Laramie trim. The long-promised hybrid edition's still in the future, as is a new Cummins diesel Ram, but the Ram lineup has flex-fuel options. The interior remains the class of the class, with functional storage areas built below the rear seats in Crew Cab versions. The pickup bed also offers "RamBox" storage bins built into the fenders. Worth noting: the Ram's crash-test scores aren't the best in the class. In late 2009, Chrysler entered an alliance with Italy's Fiat Group. As a result, the company split off its trucks into a new Ram brand. The rechristened Ram 1500 remains the mainstay of the truck lineup, and has received a few updates to its interior since Chrysler emerged from bankruptcy. A new six-speed automatic became standard for the 2012 model year on V-8 trucks, while a new Laramie Longhorn edition piled on luxury equipment that rivals Ford's King Ranch and GMC's Denali trucks. A sporty R/T edition became available, as did features like navigation, a USB port, and a rearview camera. For the 2013 model year, the Ram 1500's frame and most of its drivetrains saw major change, though those changes weren't reflected in dramatic new exterior styling. 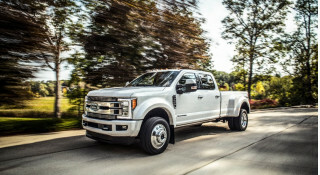 The lighter-weight structure, designed for better rigidity, was designed to support a new 3.6-liter V-6 and eight-speed automatic transmission--a combination that earns the EPA's best full-size pickup gas mileage ratings, at 17/25 mpg even before stop/start technology is added to the mix. The HEMI 5.7-liter V-8 adds the eight-speed automatic as well for economy boosts, though not until later in the model year; the 4.7-liter V-8 and six-speed automatic carry over as a mid-range option. A new air suspension is an option on almost all models, and it offers five ride positions for aerodynamics, off-road capability, or loading and unloading. The latest Ram also receives a rich-looking interior that incorporates a rotary-shift dial for eight-speed automatic (other automatics keep a console or column shifter) and a big new spot for an LCD screen that displays a host of new connectivity features. The big screen shows off the optional navigation system, or information from Sirius TravelLink, including gas prices or weather reports, or output from the available rearview camera. The Ram can be connected to the cloud via a 3G data link to the Sprint network, and via a mobile app, owners can start it via a smartphone, lock it or unlock it, run diagnostics, or simply enable a wireless hotspot around the vehicle. Four-wheel drive is available on every 2013 Ram, either in part-time or full-time flavor. Tow ratings are comparable to 2012 models, only minus one model that sported an 11,500-pound rating. For now, the maximum capacity stands at 10,450 pounds, while Ford and GM trucks can hit 11,700 pounds. All Ram 1500s also offer the RamBox, a storage system built into the truck bed and fenders itself; this year, a central locking switch in the cabin or on the mobile app locks all the bins at once. Among the more spendy options are a seven-inch reconfigurable gauge cluster that replaces a conventional set of gauges with readouts for up to three functions at a time--towing info, radio station, or navigation directions, for example. The Ram comes with new powered USB, SD card, and aux-in ports, as well as full iPod control via USB, as well as expanded steering-wheel controls. Of course, the top of the lineup, the $48,000 Laramie Longhorn comes with all of this standard, as well as special walnut trim harvested from logs abraded by barbed wire, and prized for their distinctive burl. Excellent truck to own used daily over 200000 thousand miles on it no problems encounted. Hioghly reccomend purchasing this truck to anyone plenty of pulling power for hauling thank you. Great truck...plan on keeping a long time. Excellent buy...would purchase this truck again. Haven't had any problems, all holding together great. Almost, looks as good as the day of purchase.